With the Christmas season just ending, you would think that children would be playing with toys they received over the Christmas holiday. In addition, they are. However, apparently some older kids and teenagers are busy watching YouTube, which is not necessarily a good thing. There are hundreds of YouTube millionaires that receive money for what they post on YouTube, and the amount of traffic they can bring to their YouTube channel. While the goal of YouTube stars is to bring people to their channels so that advertisers can make money, there have been recent criticisms. YouTube has been under fire before for posting content that is racist or overtly sexual. Now, several YouTube stars are under fire for their role in pitching gambling for kids. 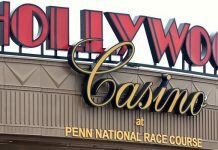 One of the most recent people who have been shamed on YouTube is Trevor Martin “TmarTn” who has been promoting a gambling site that he owns an interest. Another YouTube prodigy, Bryan “Ricegum’ Le has been promoting a form of gambling called “magic boxes” to legions of his underage fans. According to gambling experts, mystery boxes function much like loot boxes do. There has been a lot of debate in the United States, Europe, the UK, and Australia over loot boxes. Loot boxes are a type of in-game purchase on video games that allow players to get features that may help them win or move up levels in a game. However, not only can loot boxes be expensive, but they are also a form of gambling, according to regulators. Just because someone pays money into a loot box does not mean the player will get the box. Many loot boxes are functioning like slot machines. They rely on random number generators to determine who wins a box and who does not win a box. Many regulators think this feature alone makes boxes a gambling feature. Mystery boxes function in much the same way. With mystery boxes, no video game is involved. Instead, the customer pays a flat fee, and is sent a box, or the box is opened virtually. Some boxes have good prizes, while other boxes have nothing. Because the people pitching the mystery boxes on YouTube have millions of young followers, gambling regulators are concerned. 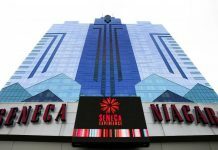 In nearly all Western countries, the youngest age to gamble is 18, while in some states in the US; the age to gamble begins at 21. Not only are the YouTubers influencing young children to gamble, the mystery boxes themselves appear to be unregulated, which means that there is no way to know how many boxes have the prizes advertised, and how many boxes have nothing. In addition, because many of the mystery box companies are located overseas, there is no way to know whether the boxes are a fraud. States and countries cannot collect taxes and represent consumers either. 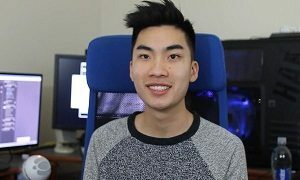 Bryan Le, who goes by the nickname RiceGum, is a musician and a YouTube celebrity with millions of followers. He is a platinum artist on the Billboard Emerging Artists chart. RiceGum is a rapper known for his “diss tracks” that poke fun at other people. RiceGum’s YouTube channel is the 231st most subscribed channel overall. RiceGum and another YouTuber, Jake Paul, have been promoting MysteryBrand. 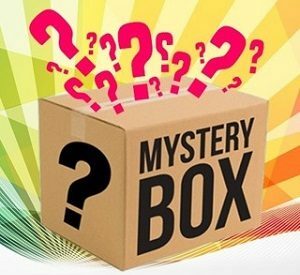 MysteryBrand is a company that gives people a chance to pay for and open a box with prizes. The site advertises that the prize boxes are at random. Thousands of people who watch RiceGum and Jake Paul on YouTube have said that they have not received prizes they won. In addition, both artists have come under fire for promoting a controversial website.